Ukraine’s refusal to sign an EU association agreement, the ensuing protests and the attempt to oust the government in a failed no-confidence vote all have their origins in a grand geopolitical battle being waged between Germany and Russia. Germany is using the European Union to bring pressure to bear to integrate Ukraine into Berlin’s political and economic sphere. Only two countries, Georgia and Moldova, signed EU association agreements, while Belarus and Armenia preferred to join the Eurasian Customs Union with Russia. German companies are already supplying the country with natural gas via pipelines through Poland and Hungary and via Slovakian pipelines by next year, breaking Ukraine’s dependence on Russian gas. To understand what that means look at the strict bailout requirements being inflicted on eurozone inmates Greece, Portugal, Cyprus and other member states. In the long run the DGAP foresees integrating even Russia into the EU treaty system of unbridled corporate dictatorship under the hegemony of Berlin, opening up German companies to economic expansion all the way to the Pacific. So Ukraine’s refusal to sign the EU’s association agreement has spoiled some very big Teutonic imperialist plans. This would explain the narrative in the Western media backing protests in the Ukraine by a “pro-European” alliance. Over the last 20 year numerous monuments to Bandera have been erected, particularly in west Ukraine, including a statue in the city of Lviv, site of one of the largest anti-Jewish pogroms. This party achieved its political breakthrough 2009, when it was elected to the West Ukrainian Oblast Ternopil (parliament) with 35 per cent of the votes, taking 50 of the 120 seats in the legislature – and its power is growing. Klitschko is a world heavyweight boxing champion and national hero who has put his name forward to stand in the 2015 presidential elections. However he may not be eligible to stand as he lives mostly in Germany. 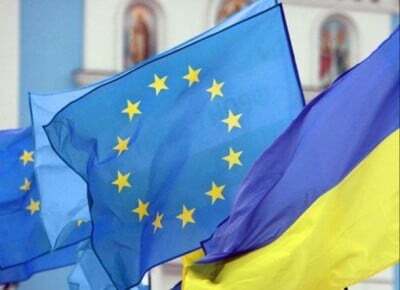 The German Christian Democrat Union party openly admits that its Konrad Adenauer Foundation “assigned” Klitschko the task of establishing a right-wing party in the Ukraine in order to create a permanent pro-EU majority in Kiev. During a foundation event with Klitschko in Brussels, German CDU MEP Elmar Brok spoke frankly about why Berlin has such strong interest in Ukraine. It is no wonder that Germany wants to push for the militarisation of Europe at the EU summit planned for later this month.